New Parker owner here. I had wanted one for years, but when I had funds, I couldn't find one I liked and when I had no money, there was an abundance. I finally got one that was exactly like I wanted. A black deluxe. I decided to splurge after my dad got a NiteFly a couple months ago. Glad to be here! Welcome to the Parker Forum jonboy! Glad you found what you wanted. Enjoy. I think the pre-refined black Fly Deluxe might just be the archetypal Parker. I wish you plenty of great guitar playing!!! I agree. I liked the purple ones, but I remember I had just started playing guitar when I first saw the ads in 1993/1994 and the black ones were my favorite. Thank you. Its been played a lot. 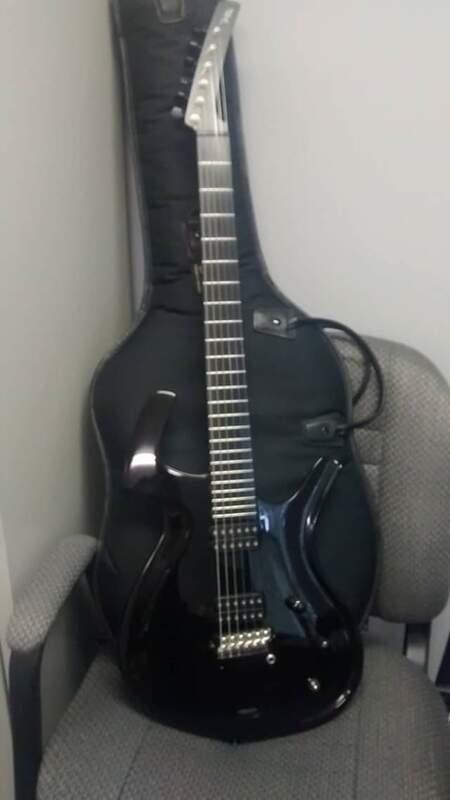 I have only had it for a couple of weeks, but I think its the end of my search for the perfect guitar.